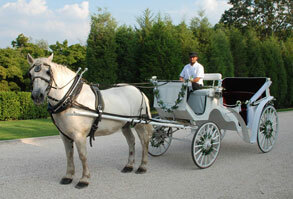 Regal Carriage Inc. is Long Island's foremost horse drawn carriage rental service provider. 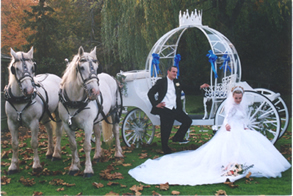 We will make you feel like a fairy tale princess as you are wisped away in our beautiful Cinderella Wedding carriage.  All of our drivers are dressed to the nines in period dress including top hats and tails. and our prices are to match! with a red carpet and decorations. 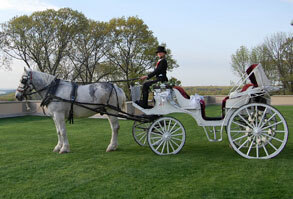 Two white horses come standard with the Cinderella Carriage.